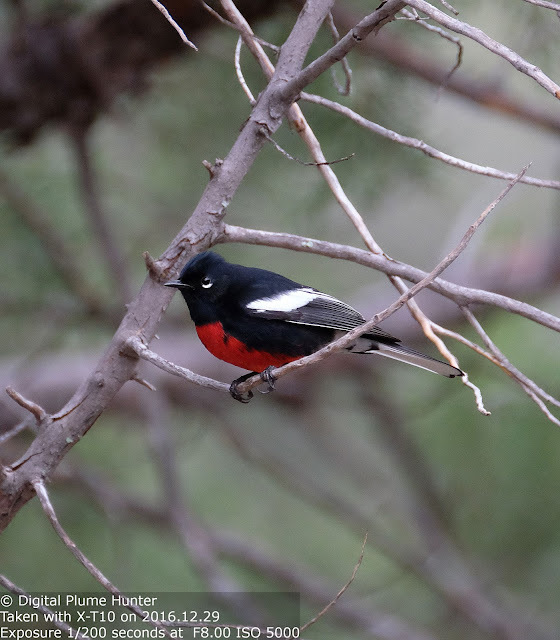 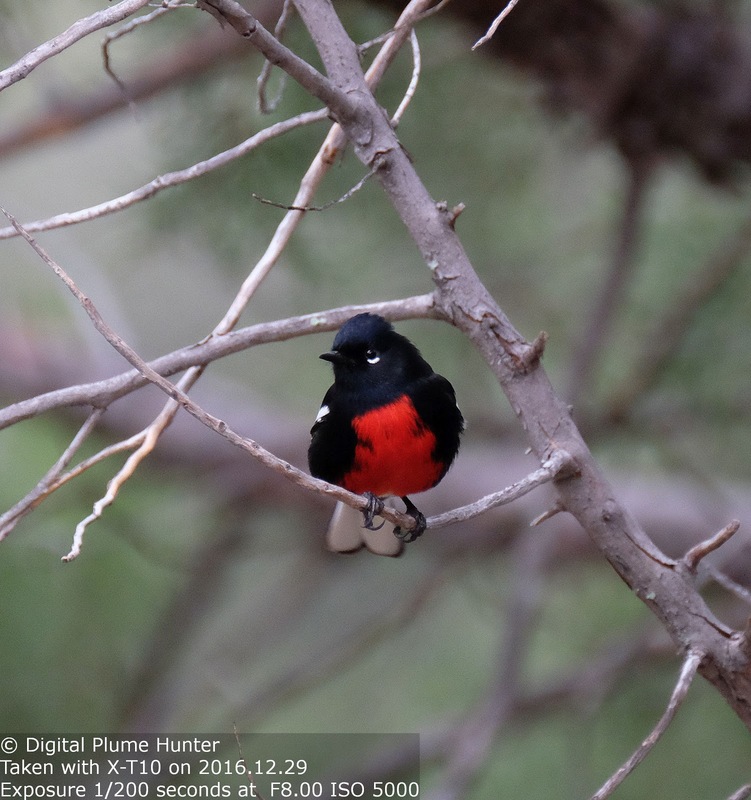 The Painted Restart is found year-round in Madera Canyon; its striking black and red plumage is a real standout against the green foliage of the oak woodlands. 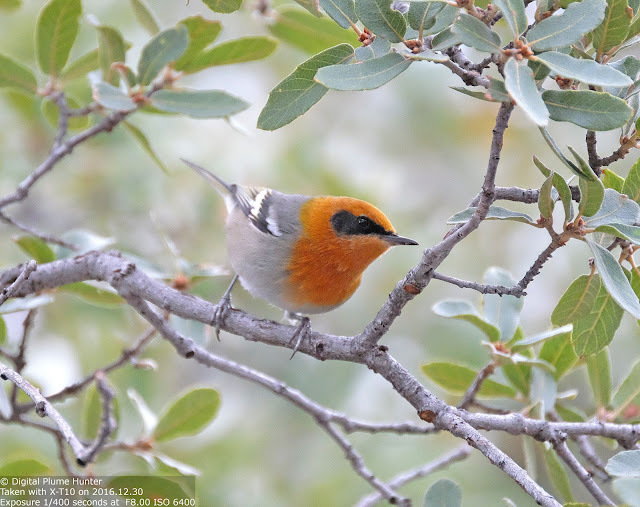 The male's orange-turmeric head and throat, black mask, grey body and prominent white wingbars is unmistakable. The Orange-crowned was observed at Gilbert Water Ranch (Phoenix area) while the Audubon's was seen at Molino Basin (Mt. Lemmon). 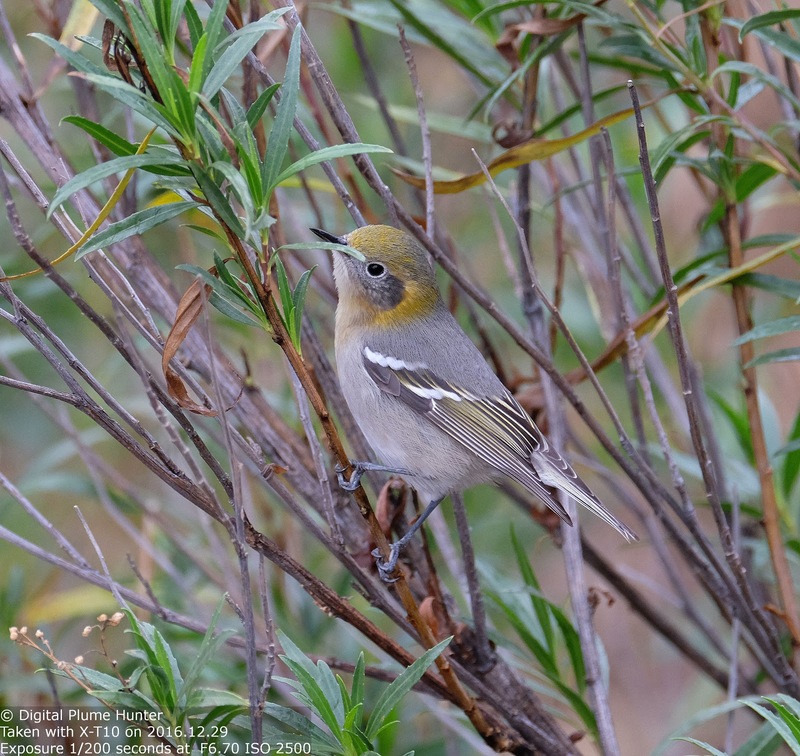 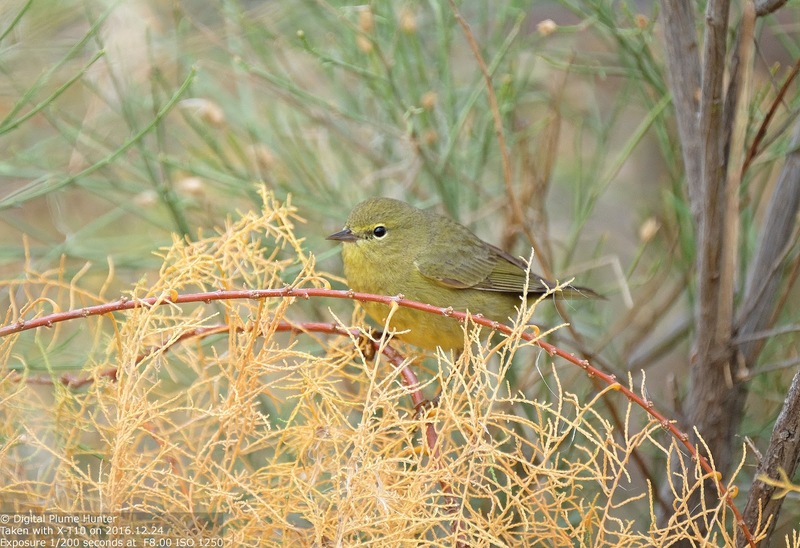 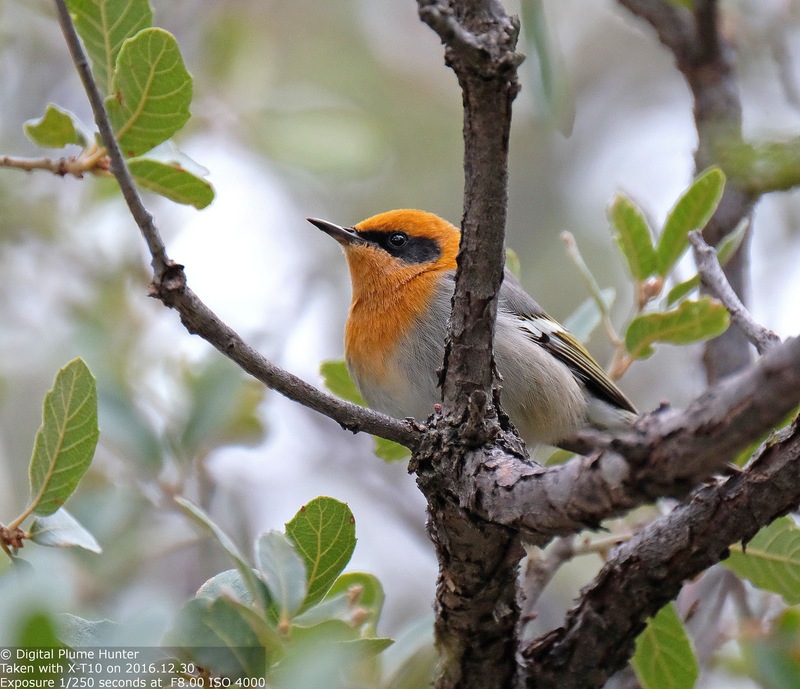 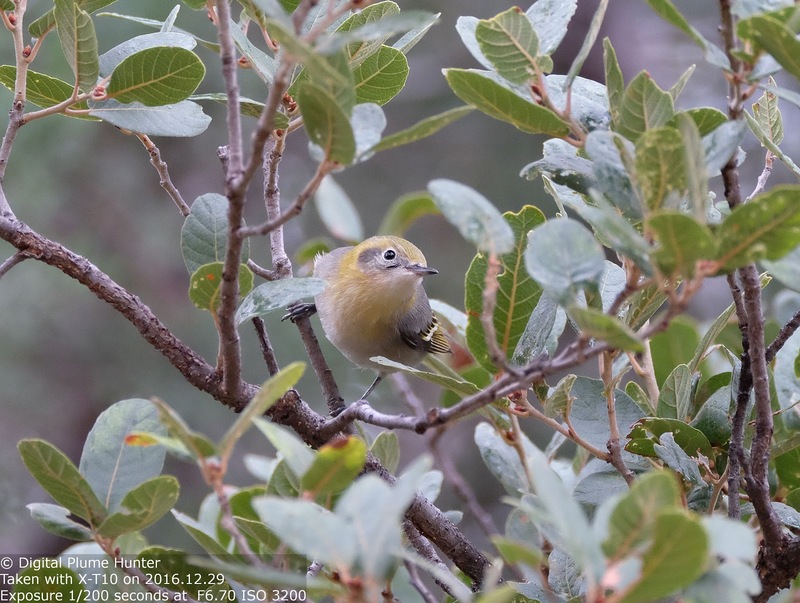 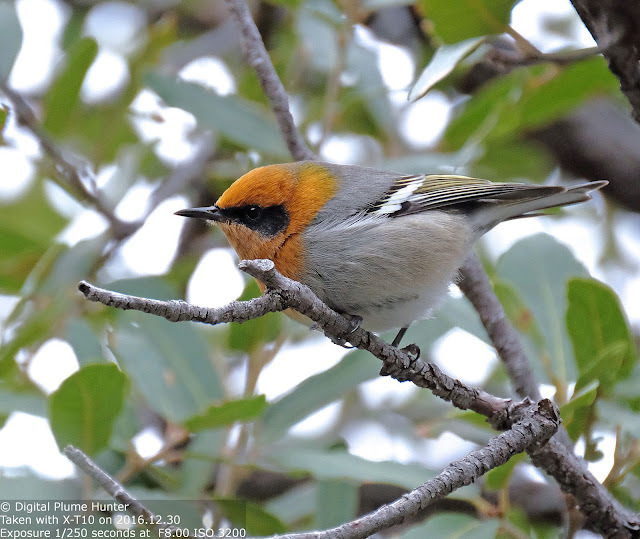 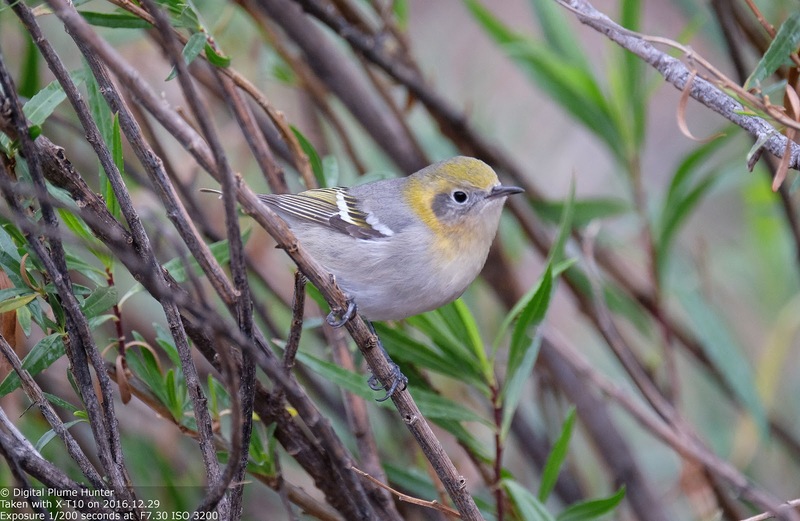 And while all four warblers were seen in SEAZ, in truth, only two of the warblers are truly Southwestern specialties -- The Orange-crowned and Audubon's Warblers are both found in other parts of the US. 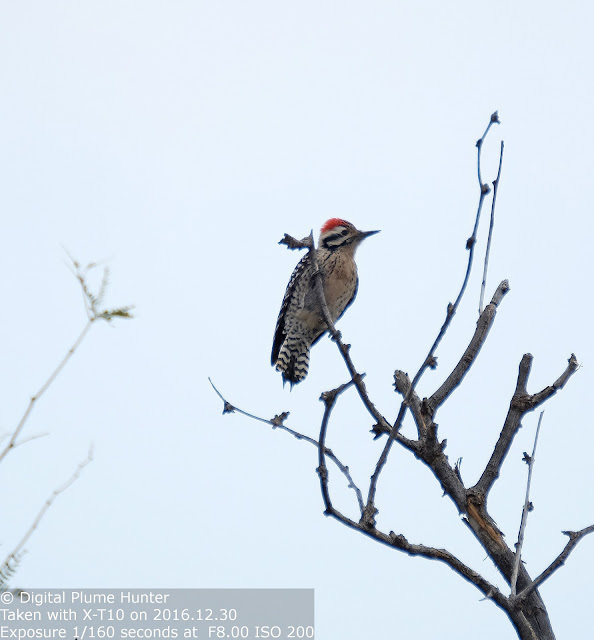 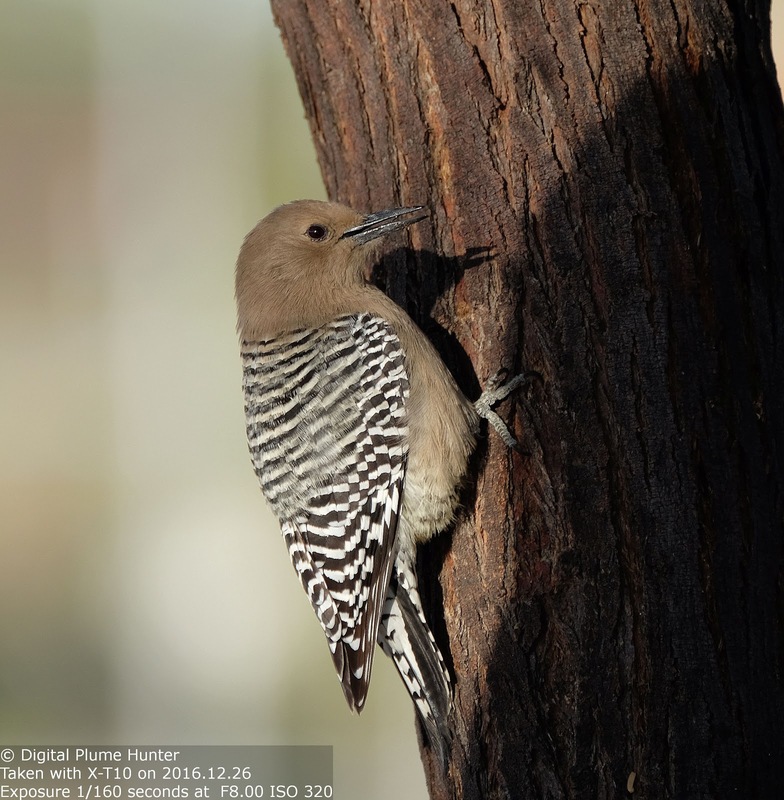 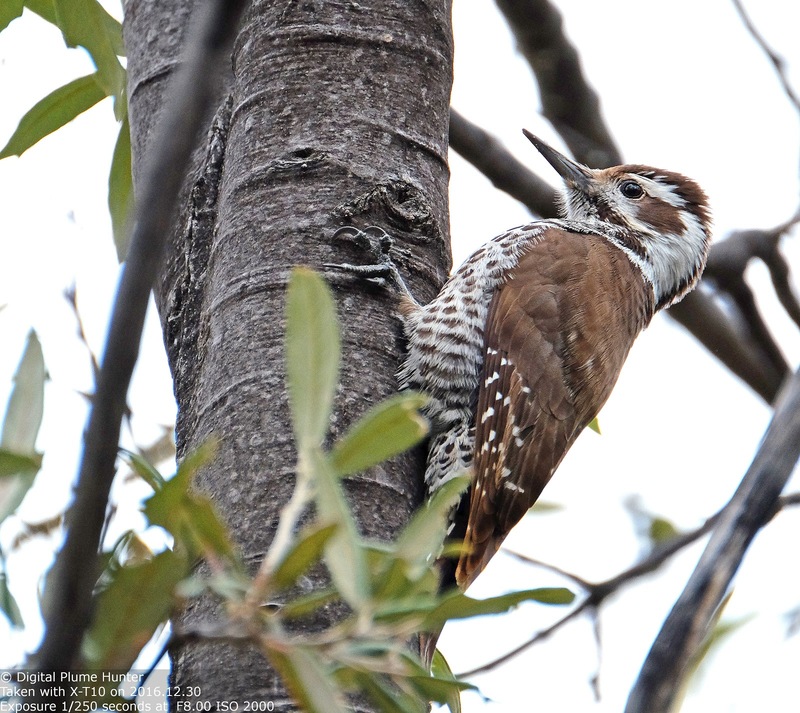 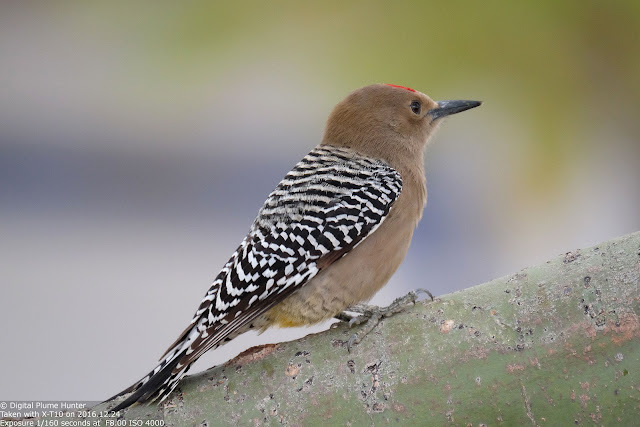 The Arizona Woodpecker is our only brown-and-white woodpecker. 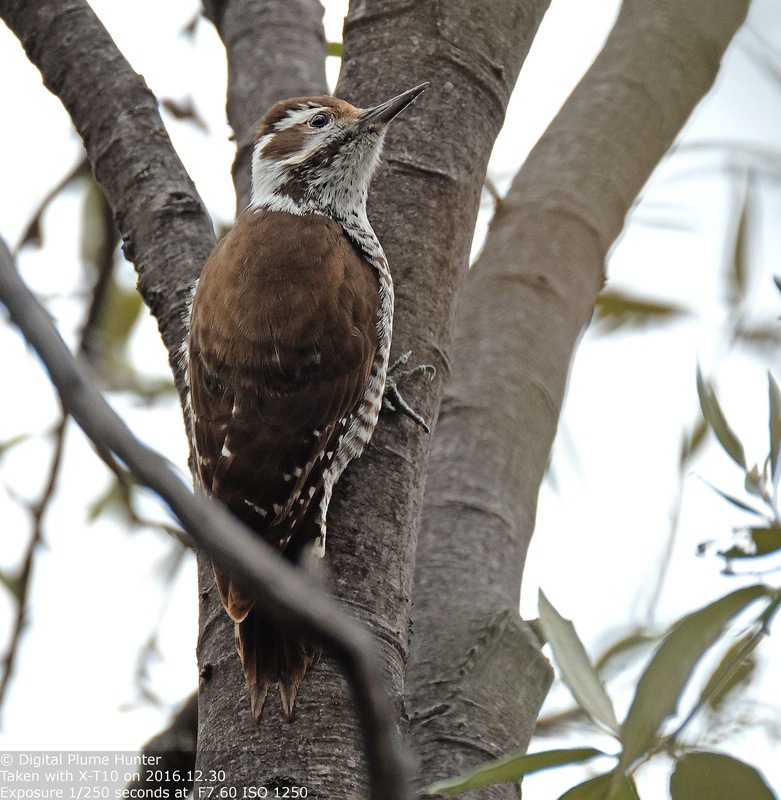 It ranges largely in Mexico, barely reaching into the US. Madera Canyon is a reliable venue to observe this unique woodpecker. 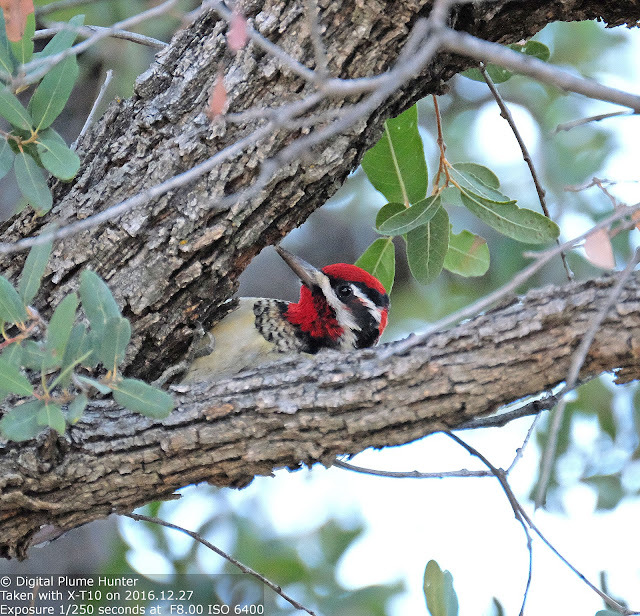 The male (upper two photos) has a red crown while the female doesn't. 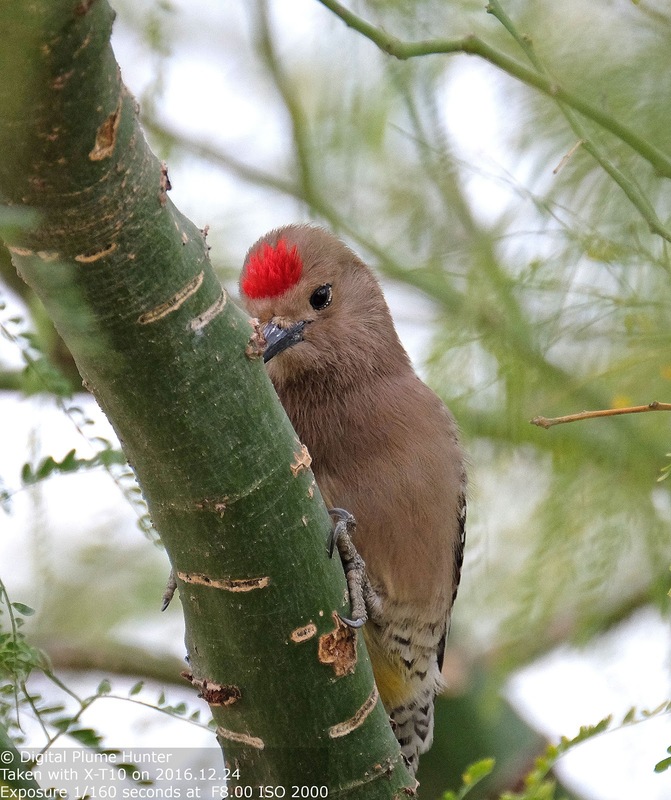 This specimen was observed at Tucson's Rio Rillito Park. 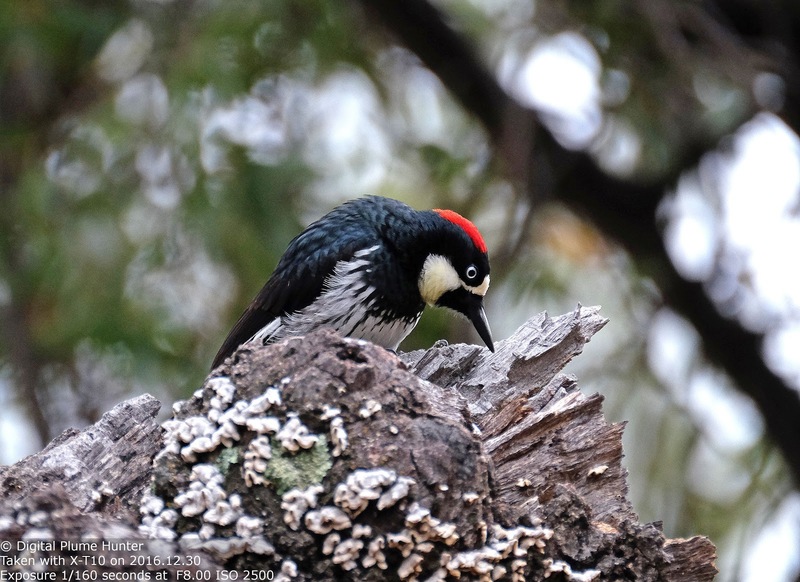 The Acorn Woodpecker is unique in its social (cooperative breeding) and acorn stashing habits. The Red-naped Sapsucker is a specialized sap foraging woodpecker -- here seen at Molino Basin. 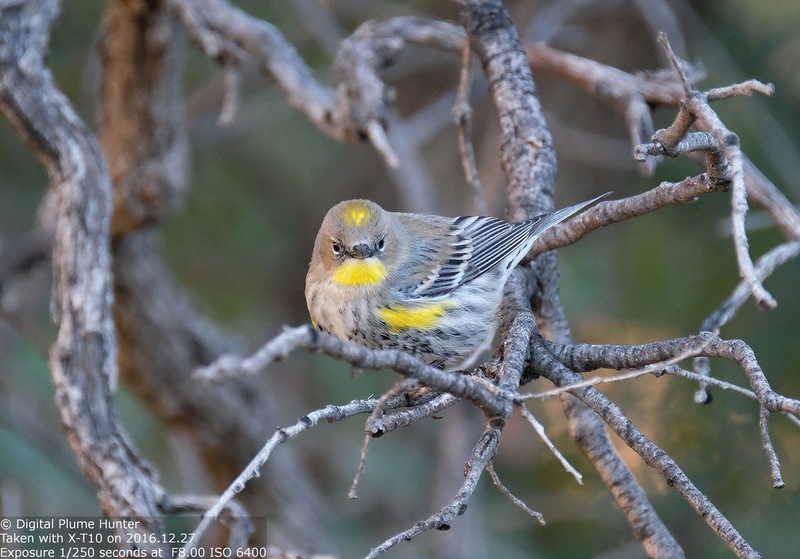 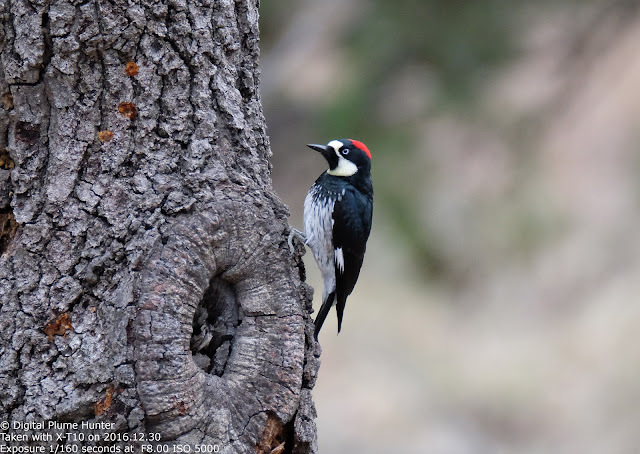 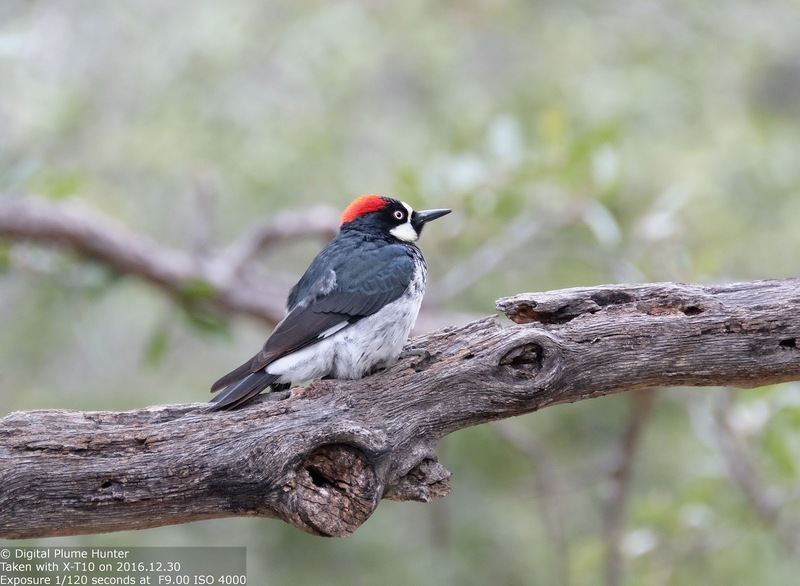 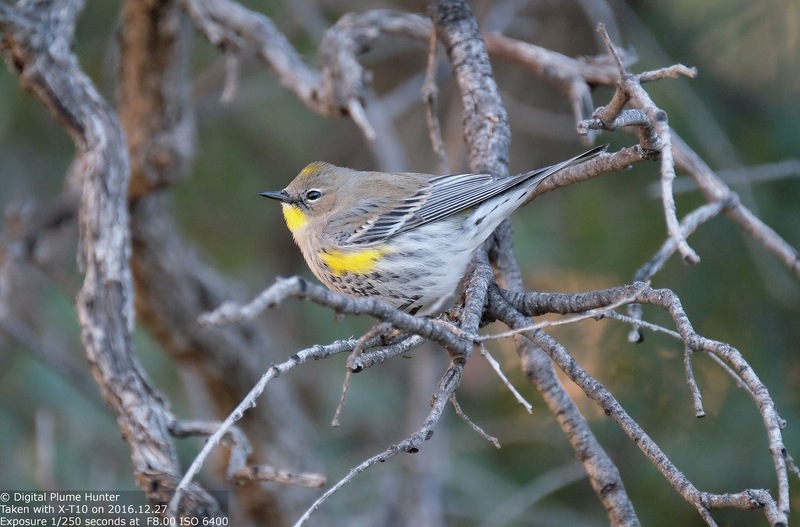 Warblers and woodpeckers belong to completely different bird families but what they do share, as evinced in this post, is the scintillating diversity that they offer across their respective taxonomic spectrums -- a fact that is best appreciated in the spectacular vistas of the Southwest.